Francis Barnett is a British motorcycle brand created in 1919 in Coventry, mythical place of manufacture of mechanical appliances. 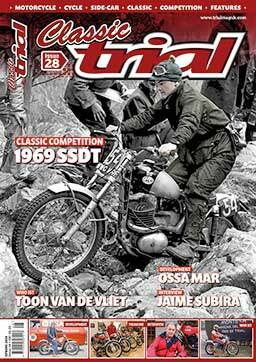 In the 60s, Francis Barnett creates trial bikes on a motor base Villiers two-stroke 200cc. Until 1966, they illustrate in major competitions especially in Scotland. By taking the brand we wanted to illustrate this era of adventure and freedom, creating a clothing brand named Francis Barnett dedicated to the bike to the old.